There are five internationally-recognised BSAC diver grades, from the entry level Ocean Diver through to BSAC's highest grade, First Class Diver. With BSAC, the choice is yours - this is YOUR diving journey and we are with you every step of the way. 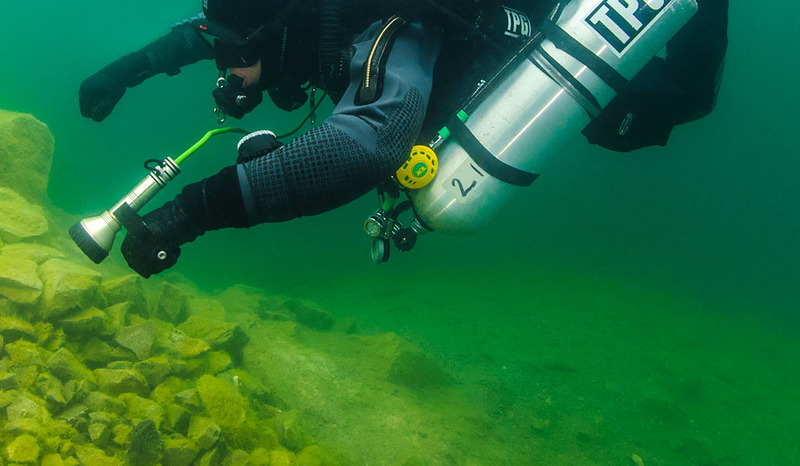 If you've always wanted to learn how to dive, this course is for you. The BSAC Ocean Diver course is for beginners and provides the essential knowledge and skills needed to prepare for open water diving. The BSAC Ocean Diver (OD) course prepares for this in the safety of a swimming pool or sheltered water and an introduction to open water in a controlled, safe manner. 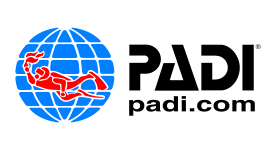 Experience and confidence will be gained under the guidance of a qualified instructor to a maximum depth of 20 metres. 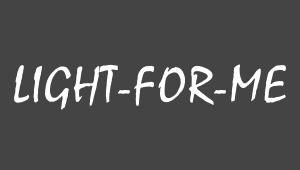 Included in the training is the use of Nitrox; the full Nitrox qualification can be awarded after a small upgrade. Minimum of 12 years of age and must be able to swim 200m continuously. Ocean Diver notes, The Diving Manual, BSAC Qualification Record Book (QRB) and a Qualification card. To complete the depth progression you need be over 14 years old. Those under 14 years can qualify to Sports Diver but can only dive to a maximum depth of 20m. BSAC Sports Diver training builds on the scuba skills you learnt in the Ocean Diver course (or entry level qualification from another agency) and helps develop your confidence, skills and experience in the water to allow you to enjoy a wider range of diving sites and conditions. You'll hone your skills and experience in various areas including rescue skills, surface marker buoys (SMBs) and delayed surface marker buoys (DSMBs), navigation, and complete your Nitrox training. 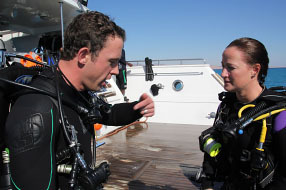 In addition, BSAC Sports Divers are taught how to support a dive manager by acting as their deputy as the first step in developing this important role in support of safe diving. This is possibly BSAC's most popular course and will truly give you most of the skills that you need for UK diving. Unlike other agencies where these essential skills come at a cost; BSAC include these skills in their training. Post qualification, BSAC Sports Divers can progressively extend their depth limit to a maximum of 35m+ and they can also start on the first stage of the instruction ladder with the Instructor Foundation Course (IFC). Minimum of 12 years old, be a current BSAC member and be a BSAC Ocean Diver (or equivalent). * BSAC Sports Divers who are aged 12-14 are able to complete those elements of Dive Leader that do not require depths in excess of 20m. 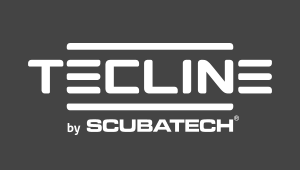 ** This course includes all of the practical and theory lessons but not the additional 20 dives required, although some may be carried out during the training. 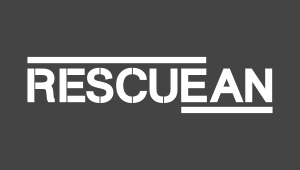 Want to plan and lead on dives, organise and manage groups of divers and develop rescue management skills? 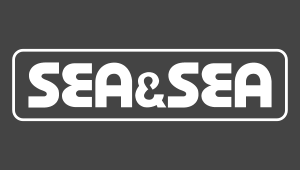 As a BSAC Dive Leader you are becoming an expert in your field of dive leadership. 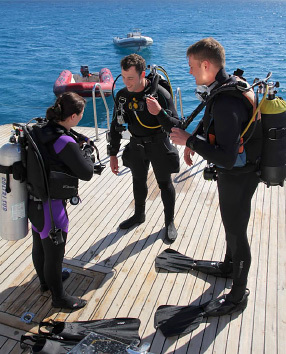 You will also be competent in planning dives for groups of divers and managing diving on the day including, if necessary, managing rescue situations. This comprehensive course is a mix of classroom-based and practical lessons that will give divers confidence to plan, lead and manage dives, and deal with emergencies. Leading a dive will develop enjoyment, confidence and experience as a diver. The course covers the role of the BSAC Dive Leader, dive planning and management, delayed surface marker buoy (DSMB) use (including mid-water deployment), dive leading demonstrations, basic life support with oxygen administration and practical management of diving incidents, casualty assessment, dive planning, shot recovery by simple lift and review of rescue skills. Post qualification, BSAC Dive Leaders can progressively extend their depth limit to a maximum of 50 metres and are eligible to progress to BSAC Open Water Instructor (OWI). 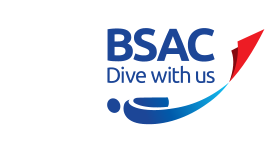 Minimum of 14 years old, be a current BSAC member and be a BSAC Sports Diver (or equivalent). Dive Leader notes, Dive Leading manual and a Qualification Card**. * This course includes all of the practical and theory lessons but not the additional 20 dives required, although some may be carried out during the training, or the planning and marshalling of 4 dives (2 known and 2 unknown sites) and the running of a 2 day expedition. 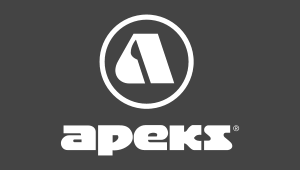 Want to manage and supervise adventurous and challenging diving expeditions and activities? 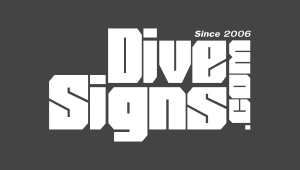 As a BSAC Advanced Diver (AD) you are a highly qualified branch diver. 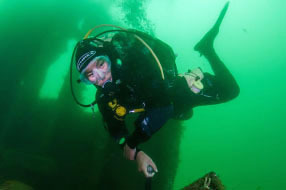 This course is for divers who are interested in extending still further their skills in planning and supervising diving groups, rescue management skills, whilst building seamanship and developing further leadership qualities. Post qualification, BSAC Advanced Divers who are already Open Water Instructors (OWIs) are eligible to progress to Advanced Instructor (AI). 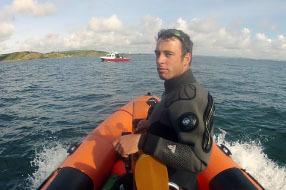 Minimum of 14 years old, be a current BSAC member and be a BSAC Dive Leader (or equivalent).